NVIDIA has announced the release of a new GeForce Game Ready driver that brings support for new RTX laptops and also improves performance in the 3DMark Port Royal benchmark. 3DMark Port Royal has now added DLSS support, which offers a nice performance boost and improved image quality. The latest Game Ready 418.81 driver can be downloaded via the GeForce Experience app or directly from NVIDIA's website. Now that laptops with GeForce RTX GPUs have started becoming available, NVIDIA has announced new game ready drivers that now include support for the new mobile RTX GPUs. The new GeFroce Game Ready 418.81 WHQL drivers can now be downloaded via the GeForce Experience app or from NVIDIA's website. Apart from introducing support for the new mobile RTX GPUs, the latest driver also enables improved performance in the 3DMark Port Royal benchmark. 3DMark Port Royal is a benchmark to evaluate ray tracing and has recently added support for NVIDIA's Deep Learning Super Sampling (DLSS) tech. 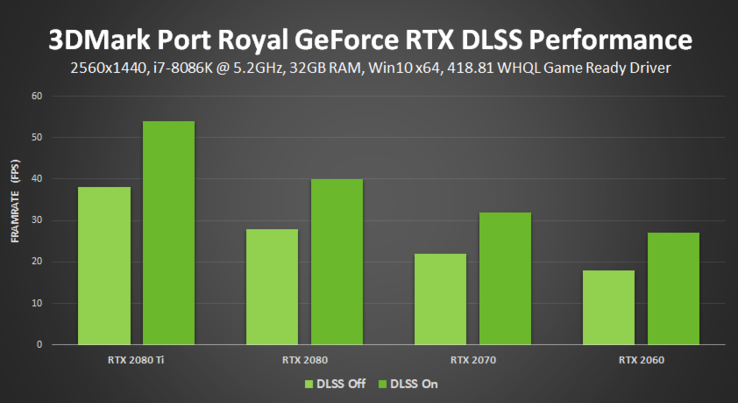 NVIDIA says that using Port Royal with the latest Game Ready driver should boost benchmark performance by up to 50% while offering improved image quality. The GPU maker showed FPS boosts with DLSS On across the consumer 'Turing' lineup running the 3DMark Port Royal benchmark. 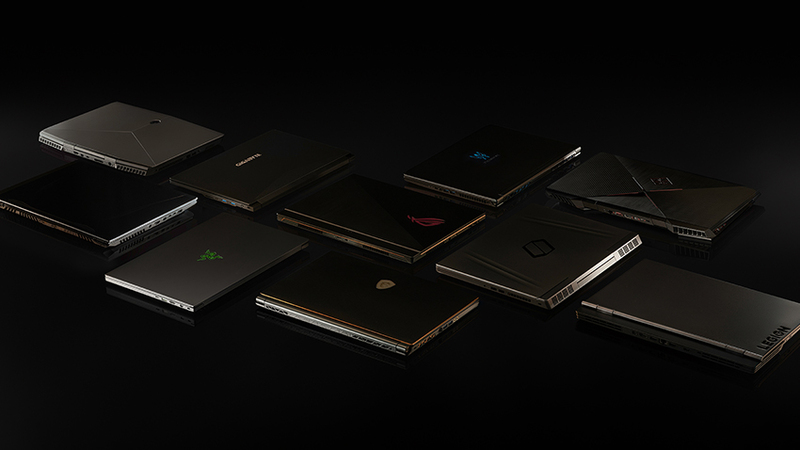 NVIDIA's RTX mobility lineup was officially announced at CES 2019 and we've seen laptops with the new GPUs hitting the shelves towards the end of January. In our review, we've seen improved performance with 'Turing' over its 'Pascal' counterparts although, we weren't very impressed with the performance of the new Max-Q variants. It remains to be seen if this new driver addresses some of the performance concerns. Have you downloaded the new Game Ready driver and taken it for a spin? Let us know your thoughts in the comments below.